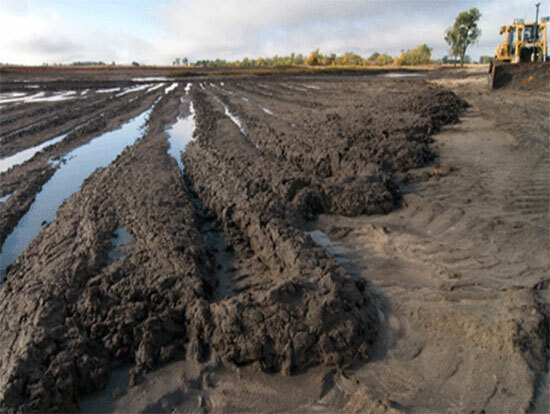 The residue that accumulated in sewage sludge water treatment plants is called sewage sludge, which can cause serious environmental pollution and even disease if we don’t dispose it in time. While, on the other respect, sewage sludge also has large utilization value. 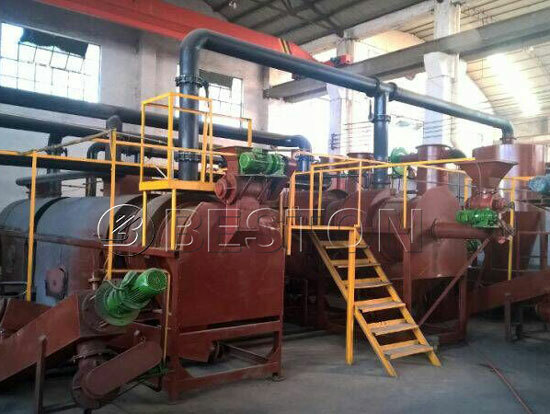 For example, Beston sewage sludge treatment plant mainly uses sludge as raw materials to produce charcoal through the advanced biochar production technology. 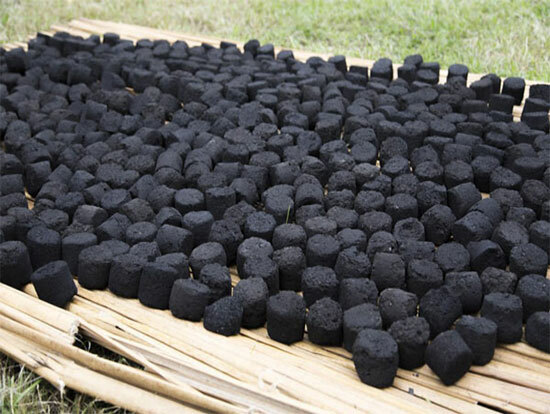 In addition, sewage sludge charcoal has wide applications, and it can be used as fuel in industrial smelting, daily cook and warming, etc. Using sewage sludge to produce charcoal, there are several points that we should force on. The first is the moisture of sewage sludge. According to standards of carbonization, the moisture of raw material should be less than 20%, so the machine needs to be equipped with dry device, which can greatly increase carbonization efficiency and improve the quality of finished products in some degree. The second point is the temperature of finished charcoal. 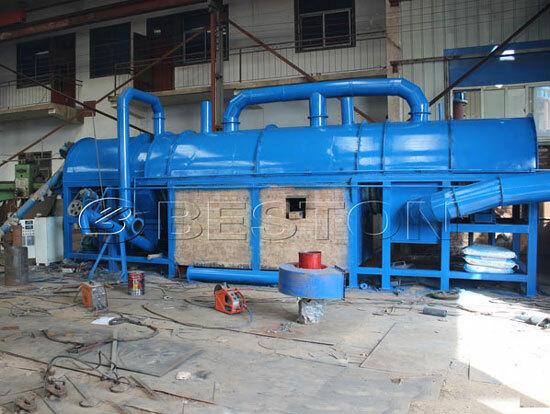 Sludge treatment technology mainly bases on the principle of high temperature pyrolysis, when the temperature of furnace has been exceeded 100℃, the sewage sludge will generate charcoal and combustible gas in the furnace. 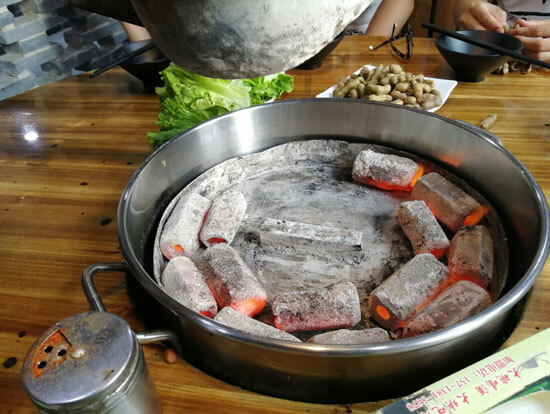 It is very dangerous to make hot charcoal exposed to open air directly, so our charcoal manufacturing plant has been installed cooling system, which can decline the temperature of charcoal to 30℃ and is safer for the whole sludge treatment facility. The third point is the treatment of combustible gas. 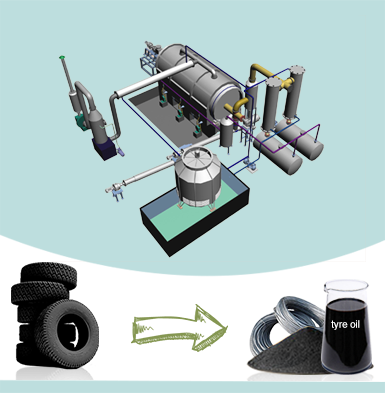 The charcoal produced during the disposal of sewage sludge can be collected directly after cooling, while the combustible gas will be further processed by spay dedusting system to remove sulfur components. By this method, it will be beneficial for environmental protection. Finally, the combustible gas will be conveyed to condenser system to extract tar and wood vinegar, which are also two important parts of end products. Most notably, the cleaning combustible gas will be recycled by a drafty fan to heat furnace and dry device, which is the famous technology of one fire with two steps. At this stage, it can not only save much non-renewable energy but also increase the whole carbonizing efficiency. 1. Unique design and structure: as for the whole set of sewage sludge treatment plant, the charcoal carbonization furnace is a core part, which has decided the whole equipment’s service life, working efficiency and even production yield. 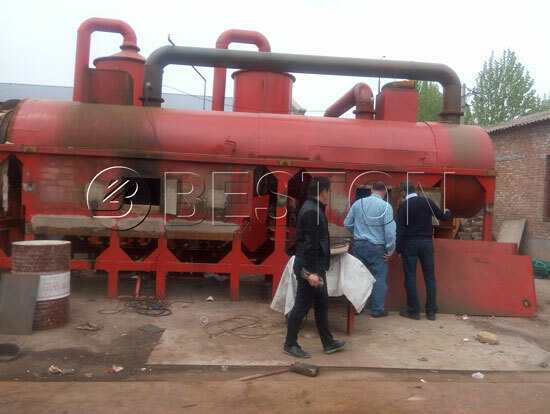 Beston carbonization furnace has adopted the double-layers design that can make the hot source contact with raw materials three times from the beginning. For another, the carbonization furnace with the horizontal type design can avoid the hot air touching the bottom of furnace directly, so that it can reduce the damage of furnace to extend the service life of the machine. 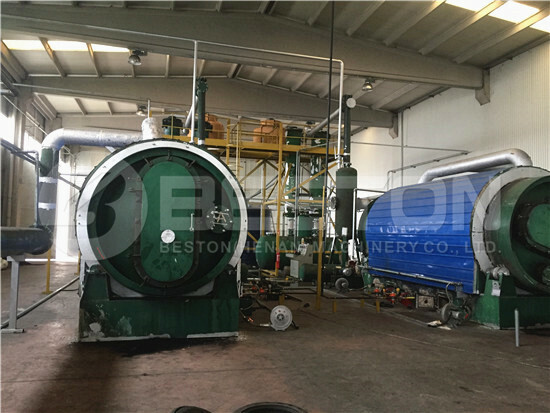 Finally, for the purpose of protecting clients’ profits, Beston Group also has designed different models of sludge treatment facilities with the different handling capacities, such as BST-05, BST-10, BST-20 and BST-30, and the handling capacities are 500t/d to 3000t/d. By this method, clients can choose the most suitable machine according to their physical cases. What’s more, the structure of sewage sludge treatment plant can be adjusted to become the best working pattern according to the demands of customers, so as to can help our customers at the most extent. 2. High efficiency and high yield: firstly, Beston sludge disposal plant has thoroughly achieved continuous working pattern, so it can avoid many manual errors, which makes the whole set of machines run more smoothly and efficiently. Secondly, the carbonization process runs under the fully sealed condition that can reduce heat energy leakage and raise carbonization ratio. Then, the application of advanced sludge treatment technology can provide the enough heat energy for the whole operating process and reduce more carbonization time. Furthermore, the unique design and the compact working structure have also contributed to raising carbonization efficiency. 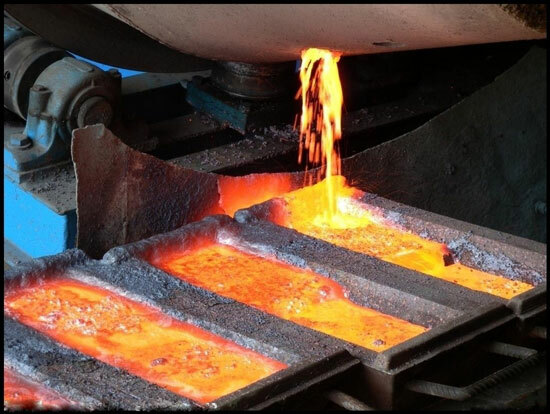 Generally speaking, the higher the carbonization efficiency is, the higher the production yield naturally is. 3. 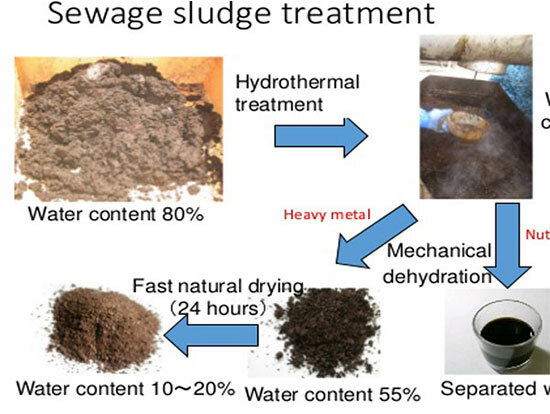 Lower sludge disposal costs: first its own lower production cost: The lower production cost can be displayed from the respects of the lower labor strength, the lower fee of using traditional fuels, small floor space, long service life, perfect after-sales service, single machine with multiple applications. 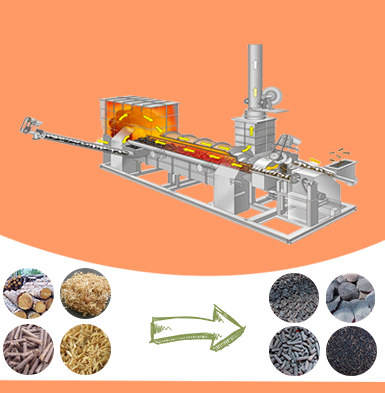 For example, in addition to sewage sludge, our carbonization machine also can use rice husk, coconut shell, wood, etc, sorted MSW as raw materials to produce charcoal; second is the higher values created by the sludge treatment machine: The higher value can be obtained from the wide applications of end produces, for example, the charcoal, an important final product of sludge disposal plant, can be used in industry, living life, and agriculture. 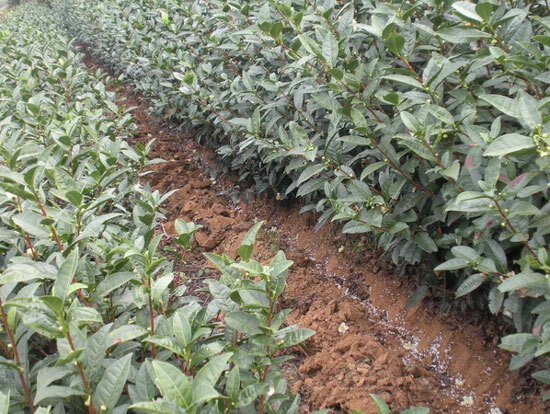 * In agriculture: the charcoal can attach heavy metal to improve the quality of soil. 4. Higher safety devices: The one is the workers’ body security: the biomass pyrolysis plant has been installed the PLC control system, so it can monitor the whole sludge treatment process at any time; besides, the machine also has been equipped with deodorization system to clean the odor, so as to provide a better workshop for workers; the furnace is covered by casing, which can avoid workers scalding. 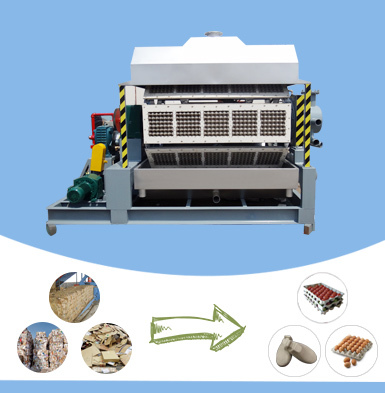 The other one is the environmental safety: little consumption of traditional fuel can reduce the environmental pollution; the machine has been equipped with spay dedusting system to remove sulfur components and protect environment. 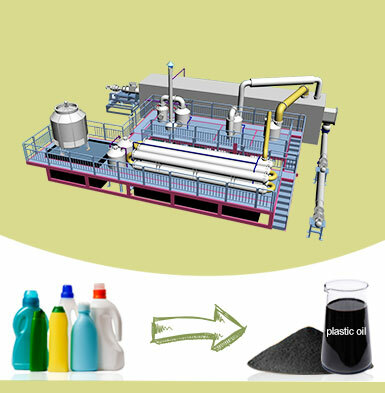 All above are just the brief introduction about the methods of sludge treatment. 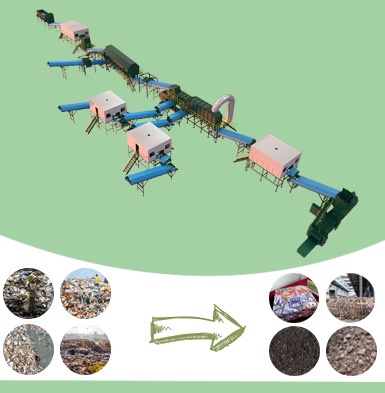 If you are interested in our sewage sludge treatment plant, you can return to our homepage or contact with us directly.